https://www.vrproreviews.com/ are a participant in the Amazon Services LLC Associates Program, an affiliate advertising program designed to provide a means for us to earn fees by linking to Amazon.com and affiliated sites. 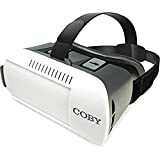 Where To Buy The Oculus Go Virtual Reality Headset? GOOVIS Pro Personal 3D Viewer,Support blu-ray player, Meet Your Personal Immersive 4K Cinema Lightweight headset with heavyweight features. Get immersive theatre-quality entertainment anywhere.